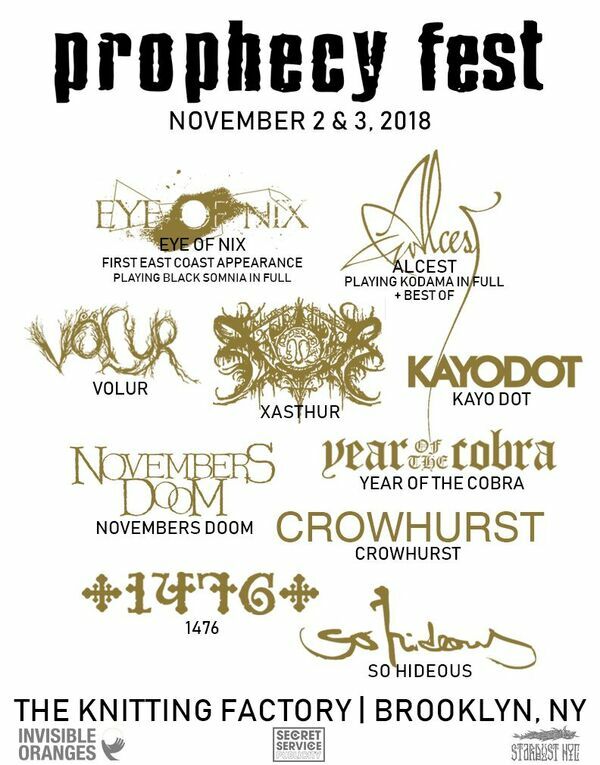 Further affirming their presence, Prophecy has unveiled the first edition of Prophecy Fest USA, which will take place at The Knitting Factory in Brooklyn, NY on November 2nd and 3rd and is presented by Stardust NYC. The inaugural event will feature performances by ALCEST, XASTHUR, NOVEMBER'S DOOM, SO HIDEOUS and more. Those who purchase tickets to the Fest will receive a special edition 2xCD Prophecy Compilation. Two day tickets are available now HERE. Watch the trailer for Prophecy Fest USA below. To read more about the history and philosophy behind Prophecy Productions, here is an in-depth article by writer Jon Wiederhorn: http://us.prophecy.de/prophecy-productions-philosophy/.